The IUCN Red List of Threatened Species reports that, alarmingly, nearly 40 percent of Madagascar's reptiles are facing an increased risk of extinction. In August, a recent paper, Extinction Risk and the Conservation of Madagascar's Reptiles, emphasized that the survival of these species will only be secured through the successful management of the island's protected areas. These findings were based on analysis of the geographic distribution of more than 370 reptile species and the threats that they face. Habitat destruction and forest clearance are the main factors that threaten the conservation status of Madagascar's unique plant and animal species, many of which occur nowhere else in the world. 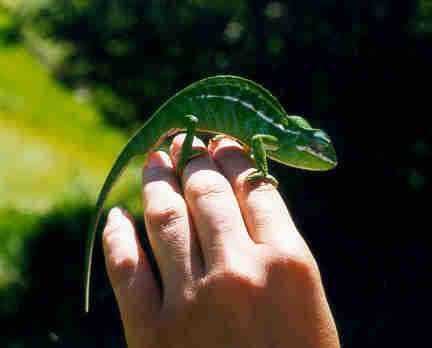 These include reptiles such as chameleons, snakes, lizards and geckos. 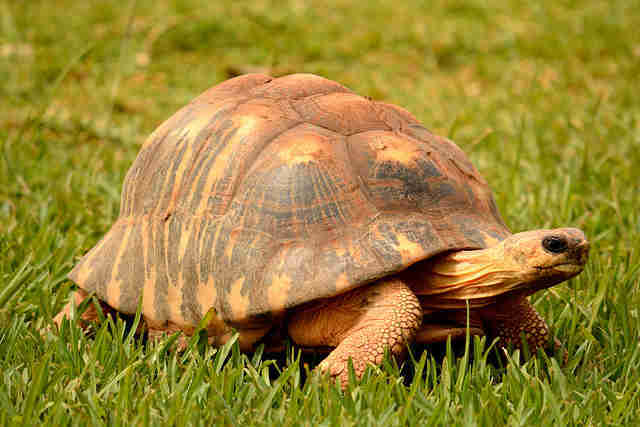 Not forgetting the Critically Endangered species of tortoises and freshwater turtles, whereby illegal collection of some of the species for food and others for the pet trade has caused their populations to decline over the years despite populations being found partially within protected areas. This said, there are eight threatened reptile species that still occur exclusively in sites without any current conservation management, adding to their increasing risk of facing extinction. To safeguard these species, this paper highlights methods such as trade monitoring and community engagement which can in turn inform national planning and trigger interventions needed to reduce that rate of habitat loss and limit threats to these species. However, it is not all doom and gloom; so far no studies have reported Malagasy reptile extinctions, and all known species in the wild have been documented in recent years. However, this highlights the vital need for such protected areas to be implemented and enforced, as threats still exist in protected sites and much can be improved within such sites. 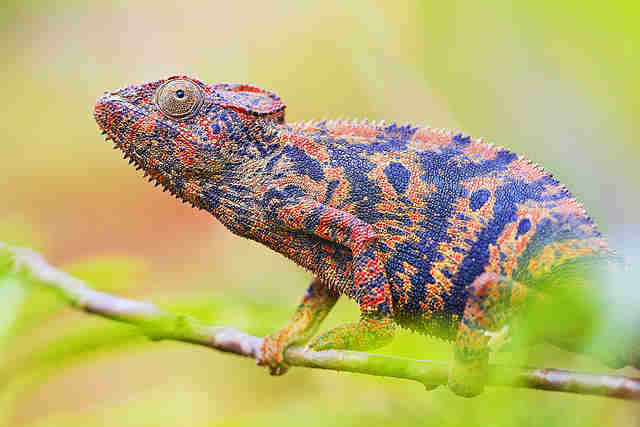 What we know: research from the field These investigations have even led to the first record found of the Petter's Chameleon Furcifer petteri on Nosy Be Island in Northwest Madagascar. It was discovered that the species has a very low population density on the island and is either rare or absent from areas with high levels of human disturbance or deforestation. It is classified as ‘vulnerable' to extinction and reveals even more so the diversity in Madagascan species and the increasing need for areas to be protected and protocols to be reinforced. The long term baseline studies carried out by Frontier Madagascar cover a range of different habitat types: primary, secondary, disturbed secondary and degraded forests. Active search surveys are carried out along transects for an hour at a time and each reptile encountered is recorded. Each microhabitat at each forest level is explored as well as leaf litter, whilst taking into consideration the minimalist approach not to damage the environment. Any species that can't be identified are photographed and then identified back at the research camp. The Frontier team also conduct regular satellite camps in new areas to further categorize the diversity and abundance of Madagascar's reptiles and to provide information on their conservation status. Active search surveys have shown that reptile diversity is highest in both primary and secondary forests, suggesting that reptiles are sensitive to disturbed habitats; preferred vegetation types for certain species are eradicated. Yet, Nosy Be's reptile species populations are stable; not all hope is lost! However, with continuing deforestation and without appropriate techniques to protect these species, this statistic could easily be reversed. All of the studies on these populations carried out by Frontier are written up in order for them to be published; helping increase the global awareness of such species, their threats and ways of conserving them, giving them a fighting chance in surviving for future generations. Check out www.seeconservation.org to read these papers and learn more about Frontier's work. Frontier offers experiences to volunteers who wish to help conserve such species, involving them in important tasks such as mapping habitats and working with local communities alongside experts to ensure that conservation efforts are put in place. 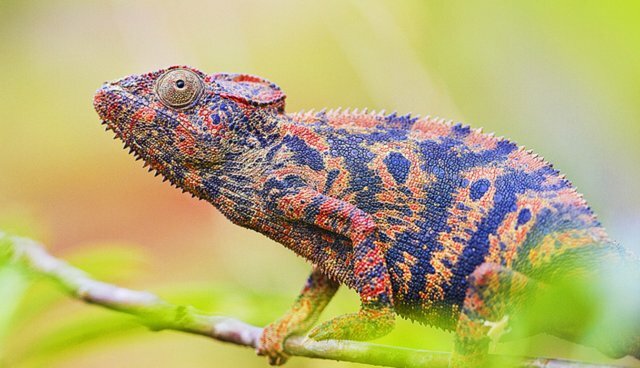 In particular, habitat and population surveys take place to investigate the effects of human disturbances towards an array of some of the most unique species found in the world; chameleons, geckos, skinks, tortoises, snakes and iguanas. 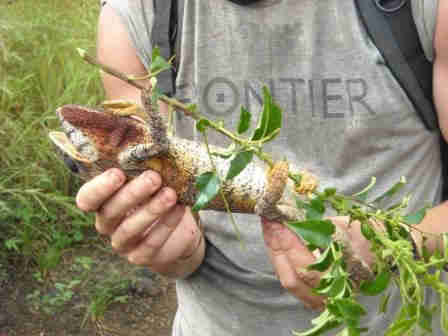 Find out more about Frontier's Madagascar Wildlife Conservation Adventure Project here.